Spank The Monkey hails a film festival with a twist. Remember cinemas? They used to be good, didn’t they? And now they’re not. Many people have offered their solutions to the problem, but the only thing we can agree on is that we should ignore anyone who uses the phrase ‘second screen experience’ without an accompanying ‘wanker’ hand gesture. So what can be done? Maybe we should look at the example of one of the best cinemas. Between 1981 and 1993, the Scala was a London cinema club with a wildly eclectic approach to programming. Its twelve-year mission to introduce audiences to the most extraordinary films on the planet was celebrated in a 2011 festival called Scala Forever, which I reported on at the time. It was a great way to commemorate a long-gone icon, but it wasn’t quite a permanent monument. An upcoming festival called Scalarama, on the other hand, has much larger ambitions. One year after the London-centric Scala Forever, its organisers curated a nationwide followup called Scala Beyond. Its focus, they now admit, was a little too broad compared to its predecessor, as it tried to do too many things at once. But at its centre was a big idea, inspired by the numerous small film clubs and societies that have become the heirs of the Scala’s legacy. Some of the more apocalyptic analyses of the death of the record industry have suggested that recorded music has run its course, and the idea of people making their own music is coming back into fashion. Have cinemas run their course? Then make your own cinema. It’s a brave aim, but one that ended up as an unworkable jumble of unconnected screenings. 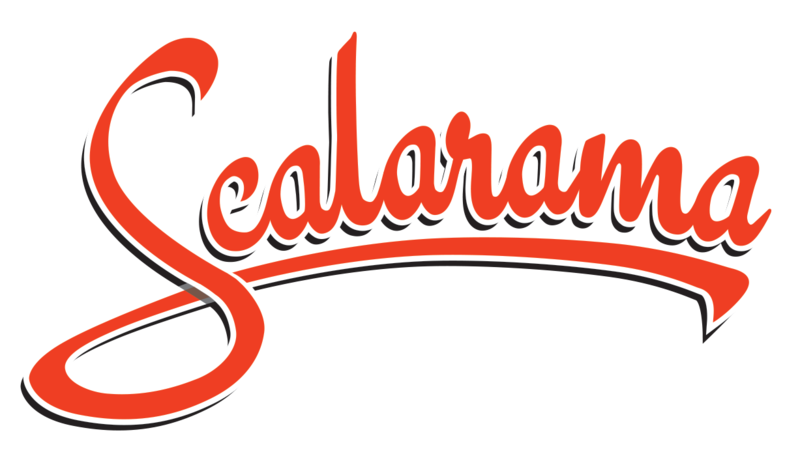 So this year – and, if it works, future years as well – the festival is rebranding itself as Scalarama, and aims to make each September a nationwide celebration of cinema. While embracing the chaos of the previous year’s programme, they’ve also assembled a core selection of seven or eight films which they’re making available for hire in a variety of formats. Anyone can put one of them on as an event, and Scalarama will include it in their listings. If there’s a lead film in the core programme, it’s probably Ikarie XB-1, a 1963 Czech adaptation of Stanislav Lem’s The Magellanic Cloud that’s getting a cinema outing prior to a DVD release in September. It follows a group of astronauts 200 years in the future, embarking on mankind’s first voyage to Alpha Centauri and beyond. Unexpected discoveries, secret pregnancy and good old-fashioned Space Madness will inevitably take their toll on the crew. Jindřich Polák’s film, widely held up as an influence on the look of 2001, is at the very least a smartly imagined view of the future. It has its characters making fun of the space opera clichés of the fifties (most notably the not-quite-humanoid robot), while at the same time gratuitously engineering a party sequence so that we can observe dance crazes of the 22nd century. The effects work is incredibly ambitious, even when it’s not 100% successful – I’d imagine one of the things Kubrick took away from the film is a determination to make sure his model shots had physical weight, something which Ikarie XB-1 doesn’t quite achieve. Nevertheless, the chance to see it on a big screen is one you should jump at. Be sure to follow it up with some research into Roger Corman’s re-edited version, Voyage To The End Of The Universe, and prepare to be astonished at how the original was mangled for US consumption. Jack Pollack? Really? The core programme has plenty of other delights in it. Lovers of the sleazier end of the original Scala’s programming will be satisfied with a collection of Mike and George Kuchar’s 16mm shorts. The ever-interesting BFI Flipside label is contributing a couple of short British horrors, Sleepwalker and The Insomniac. There’s early Parker Posey in a rare UK screening of Party Girl, and mid-period Kathy Acker with her screenplay for Variety. And for nostalgics of a very specific age, the Children’s Film Foundation’s Sammy’s Super T-Shirt is getting a proper Saturday morning release, just like they used to, across the Picturehouse circuit. Anyone who remembers the original A2-sized printed programmes for the Scala will be delighted to see the promotional facsimiles currently circulating London, listing the Scalarama events taking place in the capital. They include an opening night Film Jam, where 11 film clubs get 30 minutes of access each to the projector at the Ritzy: a workshop on how to start your own cinema: live rescorings of The Passion Of Joan Of Arc and Belleville Rendezvous: and a closing celebration of Mostly Film’s favourite TV film slot Moviedrome. But the printed summary is already out of date, as the website is being updated with post-deadline events: and it doesn’t even begin to cover what’s happening in the rest of the UK. Scalarama has a lot going for it – a built-in fanbase from previous festivals, a huge sense of ambition in its scope, and a laudable aim to ‘fill the land with cinemas’. The one thing it doesn’t have enough of at the moment appears to be funding: so if you’re reading this on August 9, you may want to throw some money at their Kickstarter page. Because attaching jumper cables to the near-dying concept of cinema as a communal experience can only be a good thing. Scalarama runs from August 31st to September 29th 2013. It has a website, a Facebook, a Twitter and a Kickstarter. Spank The Monkey can only manage two of those, but is currently considering a Kickstarter to build Hunter Walk’s second-screen-enabled cinema and then concrete him inside it.